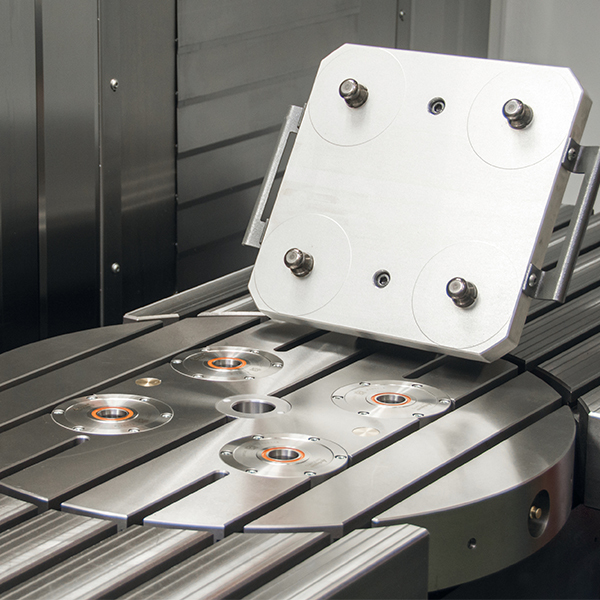 The main spindle of the T series machines is infinitely pivotable. 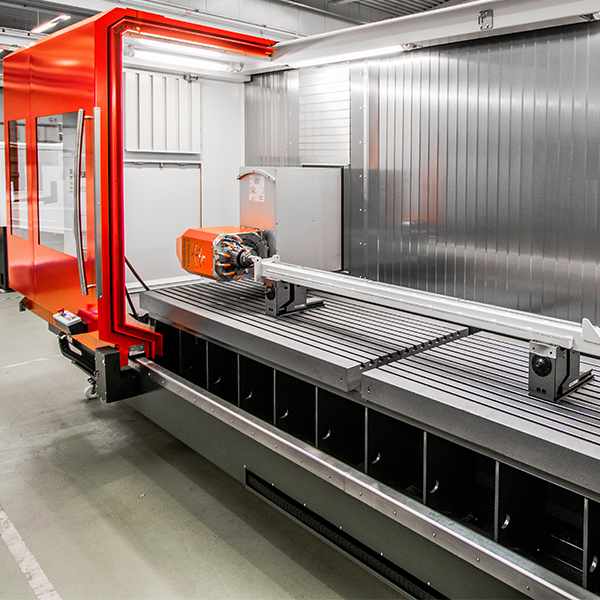 As a result, they can process long, heavy workpieces as easily and accurately as cubic 5 axis workpieces. 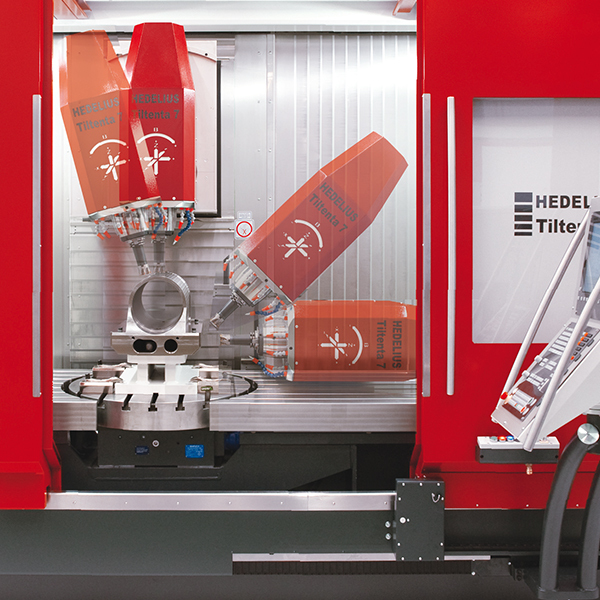 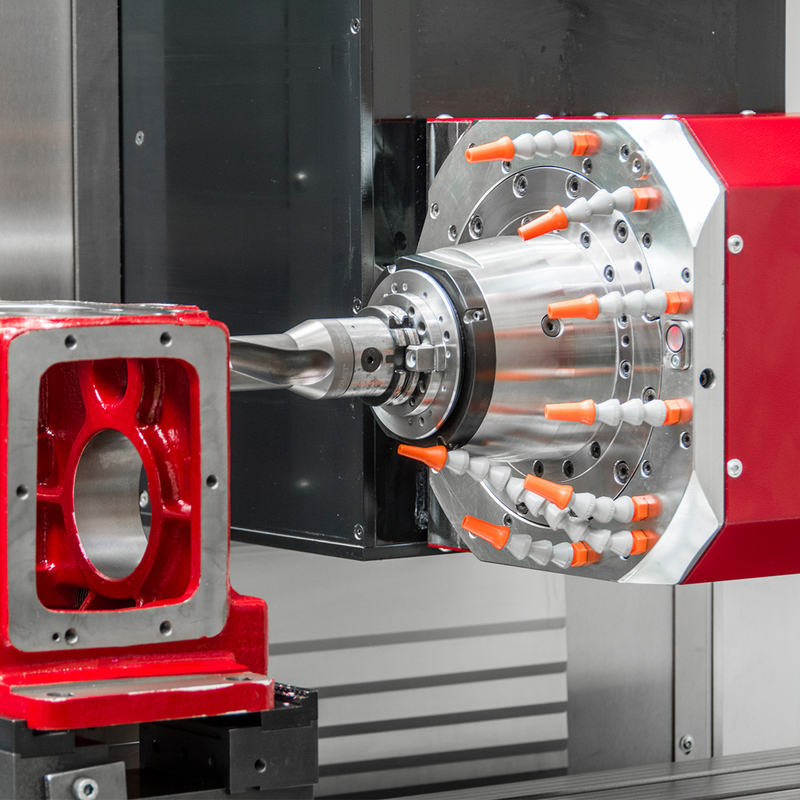 With their compact footprint, sturdy construction and integrated NC rotary table, the T series machines are capable of machining heavy workpieces up to 1,200 kg. 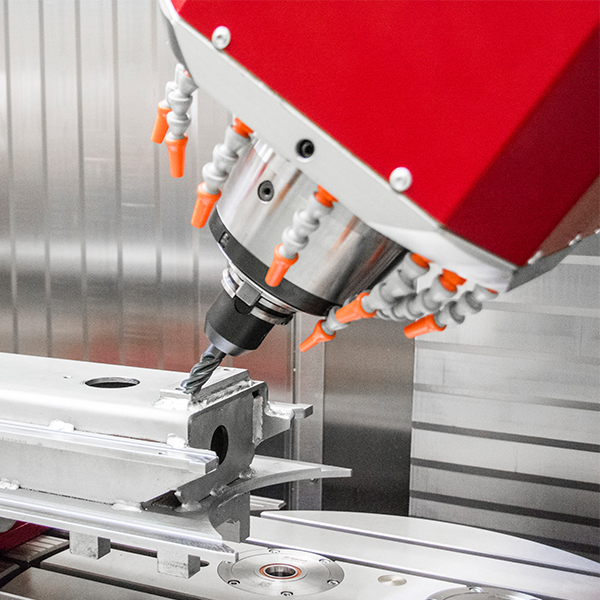 A 3 and 5 axis workspace for pendulum operation is created in a few minutes by installing a workspace divider plate.